This Volkswagen Golf SportWagen boasts a Intercooled Turbo Regular Unleaded I-4 1.8 L/110 engine powering this Automatic transmission. DEEP BLACK PEARL, Wheels w/Silver Accents, Valet Function. This Volkswagen Golf SportWagen Features the Following Options Trip Computer, Tailgate/Rear Door Lock Included w/Power Door Locks, Systems Monitor, Strut Front Suspension w/Coil Springs, Steel Spare Wheel, Speed Sensitive Rain Detecting Variable Intermittent Wipers w/Heated Jets, Single Stainless Steel Exhaust, Side Impact Beams, Side Curtain Protection Curtain 1st And 2nd Row Airbags, Roof Rack Rails Only. Stop By Today Test drive this must-see, must-drive, must-own beauty today at Sherwood Park Volkswagen, 2365 BROADMOOR BLVD, SHERWOOD PARK, AB T8H 1N1. Check out this impressive 2018 VW GOLF . . Visit Us Today Come in for a quick visit at Sherwood Park Volkswagen, 2365 BROADMOOR BLVD, SHERWOOD PARK, AB T8H 1N1 to claim your VW GOLF! This Volkswagen Golf SportWagen boasts a Intercooled Turbo Regular Unleaded I-4 1.8 L/110 engine powering this Automatic transmission. Zoom Cloth Seating Surfaces, Wheels: 16 x 6.5J Dover Alloy, Wheels w/Silver Accents. This Volkswagen Golf SportWagen Comes Equipped with These Options Valet Function, Trip Computer, Transmission: 6-Speed DSG Automatic w/Tiptronic, Tires: 205/55R16 91H AS, Tailgate/Rear Door Lock Included w/Power Door Locks, Systems Monitor, Strut Front Suspension w/Coil Springs, Steel Spare Wheel, Speed Sensitive Rain Detecting Variable Intermittent Wipers w/Heated Jets, Single Stainless Steel Exhaust. Stop By Today For a must-own Volkswagen Golf SportWagen come see us at Sherwood Park Volkswagen, 2365 BROADMOOR BLVD, SHERWOOD PARK, AB T8H 1N1. Just minutes away! This Volkswagen Atlas delivers a Regular Unleaded V-6 3.6 L/220 engine powering this Automatic transmission. TITAN BLACK, LUCY CLOTH SEATING SURFACES W/STITCHING, PURE WHITE, ENGINE BLOCK HEATER. This Volkswagen Atlas Comes Equipped with These Options CONVENIENCE PACKAGE -inc: Alarm System, Cargo Cover, Heated Front Seats, Heated Washer Nozzles , Wireless Streaming, Window Grid Diversity Antenna, Wheels: 18 Prisma Alloy, Wheels w/Silver Accents, Valet Function, Urethane Gear Shift Knob, Trip Computer, Transmission: 8-Speed Auto w/Tiptronic, Transmission w/Driver Selectable Mode. * Visit Us Today *For a must-own Volkswagen Atlas come see us at Sherwood Park Volkswagen, 2365 BROADMOOR BLVD, SHERWOOD PARK, AB T8H 1N1. Just minutes away! This Volkswagen Tiguan delivers a Intercooled Turbo Regular Unleaded I-4 2.0 L/121 engine powering this Automatic transmission. Window Grid And Roof Mount Antenna, Wheels: 17 Montana Alloy, Wheels w/Silver Accents. This Volkswagen Tiguan Features the Following Options Variable Intermittent Wipers, Urethane Gear Shift Knob, Trip Computer, Transmission: 8-Speed Automatic, Transmission w/Driver Selectable Mode and Tiptronic Sequential Shift Control, Tires: 215/65R17 All-Season, Tailgate/Rear Door Lock Included w/Power Door Locks, Systems Monitor, Strut Front Suspension w/Coil Springs, Steel Spare Wheel. Visit Us Today Test drive this must-see, must-drive, must-own beauty today at Sherwood Park Volkswagen, 2365 BROADMOOR BLVD, SHERWOOD PARK, AB T8H 1N1. This Volkswagen Tiguan boasts a Intercooled Turbo Regular Unleaded I-4 2.0 L/121 engine powering this Automatic transmission. TITAN BLACK, RHOMBUS CLOTH SEATING SURFACES, PURE WHITE, CONVENIENCE PACKAGE -inc: Heated Front Seats, Heated Front Washer Nozzles, Alarm System, Cargo Cover, Privacy Glass. This Volkswagen Tiguan Comes Equipped with These Options Wheels: 17 Montana Alloy, Wheels w/Silver Accents, Variable Intermittent Wipers, Urethane Gear Shift Knob, Trip Computer, Transmission: 8-Speed Automatic, Transmission w/Driver Selectable Mode and Tiptronic Sequential Shift Control, Tires: 215/65R17 All-Season, Tailgate/Rear Door Lock Included w/Power Door Locks, Systems Monitor. Stop By Today Treat yourself- stop by Sherwood Park Volkswagen located at 2365 BROADMOOR BLVD, SHERWOOD PARK, AB T8H 1N1 to make this car yours today! This Volkswagen Tiguan boasts a Intercooled Turbo Regular Unleaded I-4 2.0 L/121 engine powering this Automatic transmission. Window Grid And Roof Mount Diversity Antenna, Wheels: 17 Montana Alloy, Wheels w/Silver Accents. This Volkswagen Tiguan Features the Following Options Variable Intermittent Wipers, Urethane Gear Shift Knob, Trip Computer, Transmission: 8-Speed Automatic, Transmission w/Driver Selectable Mode and Tiptronic Sequential Shift Control, Tires: 215/65R17 All-Season, Tailgate/Rear Door Lock Included w/Power Door Locks, Systems Monitor, Strut Front Suspension w/Coil Springs, Steel Spare Wheel. Stop By Today Treat yourself- stop by Sherwood Park Volkswagen located at 2365 BROADMOOR BLVD, SHERWOOD PARK, AB T8H 1N1 to make this car yours today! This Volkswagen Tiguan boasts a Intercooled Turbo Regular Unleaded I-4 2.0 L/121 engine powering this Automatic transmission. Window Grid And Roof Mount Diversity Antenna, Wheels: 17 Montana Alloy, Wheels w/Silver Accents. This Volkswagen Tiguan Comes Equipped with These Options Variable Intermittent Wipers, Urethane Gear Shift Knob, Trip Computer, Transmission: 8-Speed Automatic, Transmission w/Driver Selectable Mode and Tiptronic Sequential Shift Control, Tires: 215/65R17 All-Season, Tailgate/Rear Door Lock Included w/Power Door Locks, Systems Monitor, Strut Front Suspension w/Coil Springs, Steel Spare Wheel. Visit Us Today A short visit to Sherwood Park Volkswagen located at 2365 BROADMOOR BLVD, SHERWOOD PARK, AB T8H 1N1 can get you a dependable Tiguan today! This Volkswagen Tiguan delivers a Intercooled Turbo Regular Unleaded I-4 2.0 L/121 engine powering this Automatic transmission. Window Grid And Roof Mount Diversity Antenna, Wheels: 17 Montana Alloy, Wheels w/Silver Accents. This Volkswagen Tiguan Comes Equipped with These Options Variable Intermittent Wipers, Urethane Gear Shift Knob, Trip Computer, Transmission: 8-Speed Automatic, Transmission w/Driver Selectable Mode and Tiptronic Sequential Shift Control, Tires: 215/65R17 All-Season, Tailgate/Rear Door Lock Included w/Power Door Locks, Systems Monitor, Strut Front Suspension w/Coil Springs, Steel Spare Wheel. Visit Us Today Come in for a quick visit at Sherwood Park Volkswagen, 2365 BROADMOOR BLVD, SHERWOOD PARK, AB T8H 1N1 to claim your Volkswagen Tiguan! This Volkswagen Tiguan boasts a Intercooled Turbo Regular Unleaded I-4 2.0 L/121 engine powering this Automatic transmission. Window Grid And Roof Mount Antenna, Wheels: 17 Montana Alloy, Wheels w/Silver Accents. This Volkswagen Tiguan Comes Equipped with These Options Variable Intermittent Wipers, Urethane Gear Shift Knob, Trip Computer, Transmission: 8-Speed Automatic, Transmission w/Driver Selectable Mode and Tiptronic Sequential Shift Control, Tires: 215/65R17 All-Season, Tailgate/Rear Door Lock Included w/Power Door Locks, Systems Monitor, Strut Front Suspension w/Coil Springs, Steel Spare Wheel. Visit Us Today Come in for a quick visit at Sherwood Park Volkswagen, 2365 BROADMOOR BLVD, SHERWOOD PARK, AB T8H 1N1 to claim your Volkswagen Tiguan! This Volkswagen Tiguan delivers a Intercooled Turbo Regular Unleaded I-4 2.0 L/121 engine powering this Automatic transmission. Window Grid And Roof Mount Diversity Antenna, Wheels: 17 Montana Alloy, Wheels w/Silver Accents. This Volkswagen Tiguan Comes Equipped with These Options Variable Intermittent Wipers, Urethane Gear Shift Knob, Trip Computer, Transmission: 8-Speed Automatic, Transmission w/Driver Selectable Mode and Tiptronic Sequential Shift Control, Tires: 215/65R17 All-Season, Tailgate/Rear Door Lock Included w/Power Door Locks, Systems Monitor, Strut Front Suspension w/Coil Springs, Steel Spare Wheel. Visit Us Today A short visit to Sherwood Park Volkswagen located at 2365 BROADMOOR BLVD, SHERWOOD PARK, AB T8H 1N1 can get you a reliable Tiguan today! This Volkswagen Tiguan delivers a Intercooled Turbo Regular Unleaded I-4 2.0 L/121 engine powering this Automatic transmission. Window Grid And Roof Mount Diversity Antenna, Wheels: 17 Tulsa Alloy, Wheels w/Silver Accents. This Volkswagen Tiguan Features the Following Options Trip Computer, Transmission: 8-Speed Automatic, Transmission w/Driver Selectable Mode and Tiptronic Sequential Shift Control, Tires: 215/65R17 All-Season, Tailgate/Rear Door Lock Included w/Power Door Locks, Systems Monitor, Strut Front Suspension w/Coil Springs, Streaming Audio, Steel Spare Wheel, Standard Suspension. Stop By Today Stop by Sherwood Park Volkswagen located at 2365 BROADMOOR BLVD, SHERWOOD PARK, AB T8H 1N1 for a quick visit and a great vehicle! This Volkswagen Tiguan delivers a Intercooled Turbo Regular Unleaded I-4 2.0 L/121 engine powering this Automatic transmission. Window Grid And Roof Mount Diversity Antenna, Wheels: 17 Tulsa Alloy, Wheels w/Silver Accents. This Volkswagen Tiguan Comes Equipped with These Options Trip Computer, Transmission: 8-Speed Automatic, Transmission w/Driver Selectable Mode and Tiptronic Sequential Shift Control, Tires: 215/65R17 All-Season, Tailgate/Rear Door Lock Included w/Power Door Locks, Systems Monitor, Strut Front Suspension w/Coil Springs, Streaming Audio, Steel Spare Wheel, Standard Suspension. Stop By Today Come in for a quick visit at Sherwood Park Volkswagen, 2365 BROADMOOR BLVD, SHERWOOD PARK, AB T8H 1N1 to claim your Volkswagen Tiguan! This Volkswagen Tiguan delivers a Intercooled Turbo Regular Unleaded I-4 2.0 L/121 engine powering this Automatic transmission. Window Grid And Roof Mount Diversity Antenna, Wheels: 17 Tulsa Alloy, Wheels w/Silver Accents. This Volkswagen Tiguan Comes Equipped with These Options Trip Computer, Transmission: 8-Speed Automatic, Transmission w/Driver Selectable Mode and Tiptronic Sequential Shift Control, Tires: 215/65R17 All-Season, Tailgate/Rear Door Lock Included w/Power Door Locks, Systems Monitor, Strut Front Suspension w/Coil Springs, Streaming Audio, Steel Spare Wheel, Standard Suspension. Stop By Today You've earned this- stop by Sherwood Park Volkswagen located at 2365 BROADMOOR BLVD, SHERWOOD PARK, AB T8H 1N1 to make this car yours today! This Volkswagen Tiguan boasts a Intercooled Turbo Regular Unleaded I-4 2.0 L/121 engine powering this Automatic transmission. Window Grid And Roof Mount Diversity Antenna, Wheels: 17 Tulsa Alloy, Wheels w/Silver Accents. This Volkswagen Tiguan Features the Following Options Trip Computer, Transmission: 8-Speed Automatic, Transmission w/Driver Selectable Mode and Tiptronic Sequential Shift Control, Tires: 215/65R17 All-Season, Tailgate/Rear Door Lock Included w/Power Door Locks, Systems Monitor, Strut Front Suspension w/Coil Springs, Streaming Audio, Steel Spare Wheel, Standard Suspension. Stop By Today For a must-own Volkswagen Tiguan come see us at Sherwood Park Volkswagen, 2365 BROADMOOR BLVD, SHERWOOD PARK, AB T8H 1N1. Just minutes away! This Volkswagen Golf SportWagen boasts a Intercooled Turbo Regular Unleaded I-4 1.8 L/110 engine powering this Automatic transmission. Wheels: 18 x 7.5J Durban Alloy, Wheels w/Silver Accents, Valet Function. This Volkswagen Golf SportWagen Comes Equipped with These Options Trip Computer, Transmission: 6-Speed DSG Automatic w/Tiptronic, Transmission w/Driver Selectable Mode and Oil Cooler, Tires: 225/40R18 92H AS, Tailgate/Rear Door Lock Included w/Power Door Locks, Systems Monitor, Strut Front Suspension w/Coil Springs, Steel Spare Wheel, Speed Sensitive Rain Detecting Variable Intermittent Wipers w/Heated Jets, Single Stainless Steel Exhaust. 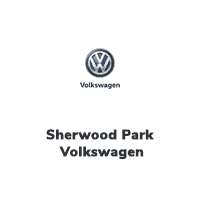 Stop By Today A short visit to Sherwood Park Volkswagen located at 2365 BROADMOOR BLVD, SHERWOOD PARK, AB T8H 1N1 can get you a dependable Golf SportWagen today! This Volkswagen Golf SportWagen boasts a Intercooled Turbo Regular Unleaded I-4 1.8 L/110 engine powering this Automatic transmission. Wheels: 18 x 7.5J Durban Alloy, Wheels w/Silver Accents, Valet Function. This Volkswagen Golf SportWagen Features the Following Options Trip Computer, Transmission: 6-Speed DSG Automatic w/Tiptronic, Transmission w/Driver Selectable Mode and Oil Cooler, Tires: 225/40R18 92H AS, Tailgate/Rear Door Lock Included w/Power Door Locks, Systems Monitor, Strut Front Suspension w/Coil Springs, Steel Spare Wheel, Speed Sensitive Rain Detecting Variable Intermittent Wipers w/Heated Jets, Single Stainless Steel Exhaust. Stop By Today Stop by Sherwood Park Volkswagen located at 2365 BROADMOOR BLVD, SHERWOOD PARK, AB T8H 1N1 for a quick visit and a great vehicle! This Volkswagen Tiguan delivers a Intercooled Turbo Regular Unleaded I-4 2.0 L/121 engine powering this Automatic transmission. Window Grid And Roof Mount Diversity Antenna, Wheels: 17 Tulsa Alloy, Wheels w/Silver Accents. This Volkswagen Tiguan Features the Following Options Trip Computer, Transmission: 8-Speed Automatic, Transmission w/Driver Selectable Mode and Tiptronic Sequential Shift Control, Tires: 215/65R17 All-Season, Tailgate/Rear Door Lock Included w/Power Door Locks, Systems Monitor, Strut Front Suspension w/Coil Springs, Streaming Audio, Steel Spare Wheel, Standard Suspension. Stop By Today Treat yourself- stop by Sherwood Park Volkswagen located at 2365 BROADMOOR BLVD, SHERWOOD PARK, AB T8H 1N1 to make this car yours today! This Volkswagen Tiguan boasts a Intercooled Turbo Regular Unleaded I-4 2.0 L/121 engine powering this Automatic transmission. Window Grid And Roof Mount Diversity Antenna, Wheels: 17 Tulsa Alloy, Wheels w/Silver Accents. This Volkswagen Tiguan Comes Equipped with These Options Trip Computer, Transmission: 8-Speed Automatic, Transmission w/Driver Selectable Mode and Tiptronic Sequential Shift Control, Tires: 215/65R17 All-Season, Tailgate/Rear Door Lock Included w/Power Door Locks, Systems Monitor, Strut Front Suspension w/Coil Springs, Streaming Audio, Steel Spare Wheel, Standard Suspension. Visit Us Today A short visit to Sherwood Park Volkswagen located at 2365 BROADMOOR BLVD, SHERWOOD PARK, AB T8H 1N1 can get you a reliable Tiguan today!